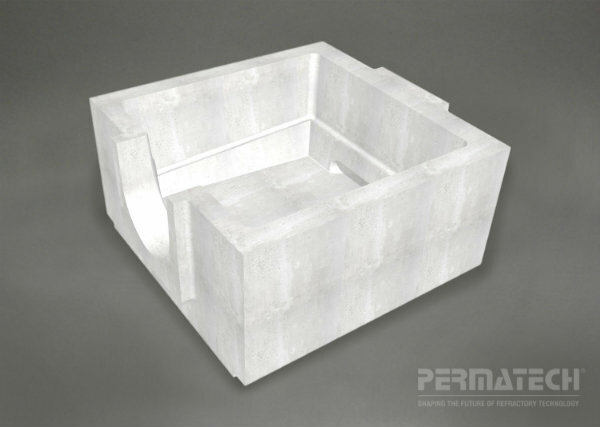 Permatech's expertise in refractory formulations and casting technology offer new and improved solutions for all aluminum cast-house applications and other type of aluminum foundry equipment. 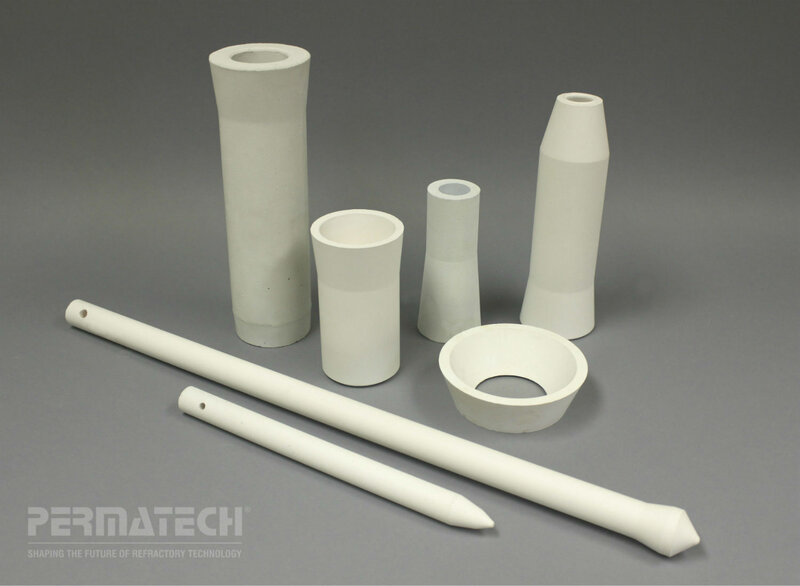 New designs and any other refractory parts are avaible upon request. We manufacture a comprehensive range of pre fired precast shapes for all aluminum cast-house applications including liners, dams, baffles, tap blocks, grid bars, sink plates and ceramic filter bowl. Permatech has the necessary design, engineering and manufacturing expertise to produce precision cast Thimbles, Transition Plates and Table-Top Troughing to conform to your specific needs. 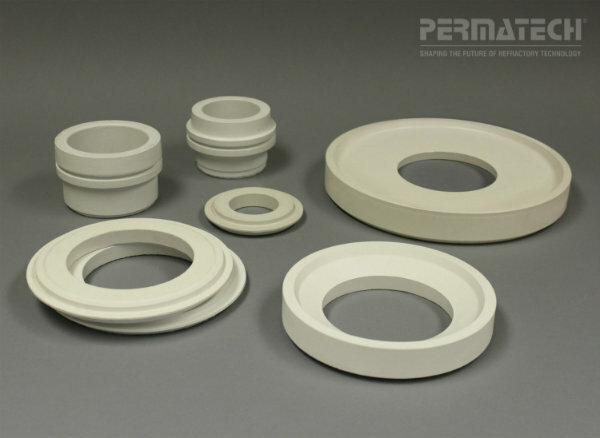 We manufacture a comprehensive range of refractory precast consumables for all aluminum cast-house applications, including spouts, pipes, TC Tubes, flow rods and impellers. 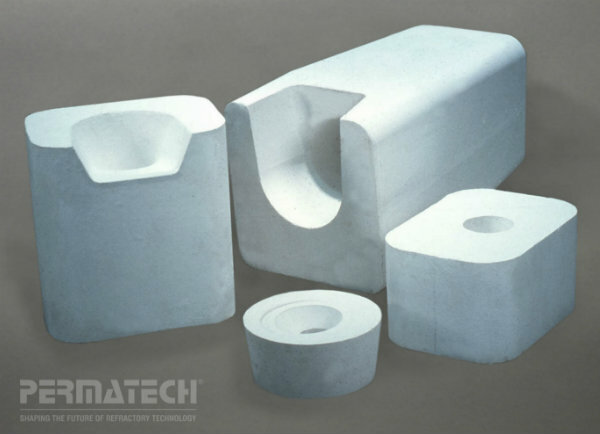 We can custom engineer Tap Blocks from a variety of material compositions, that rival the life performance of other available materials. 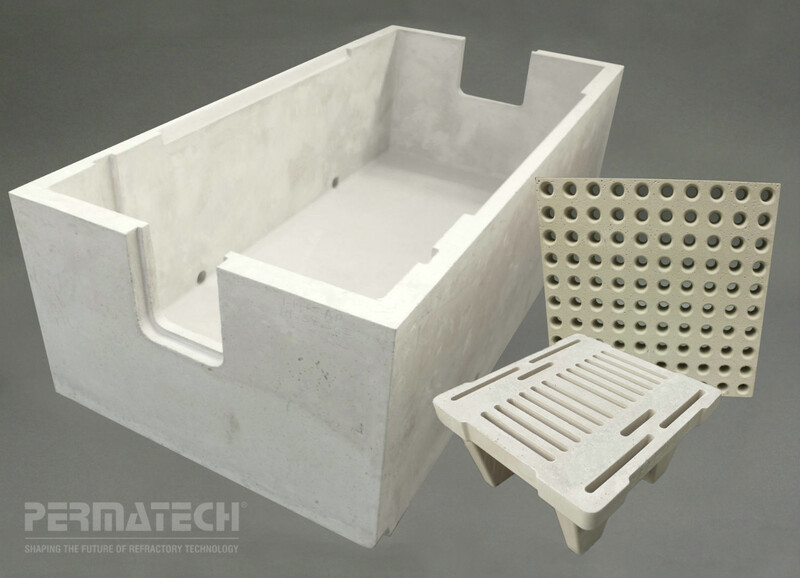 We can build a Ceramic Foam Filter Bowl System that will conform to the specific filter bowl assembly desired. 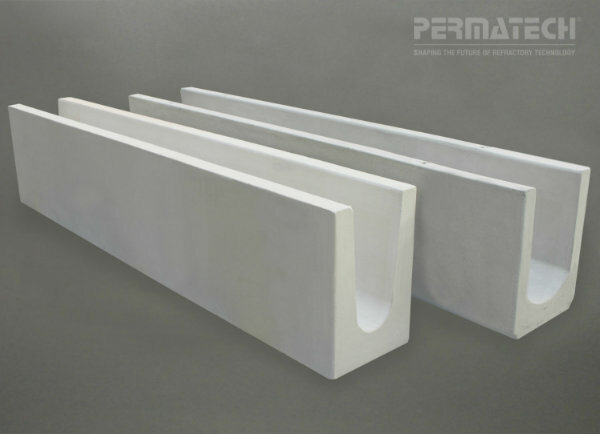 With the widest ability to cast refractory precast troughs of all sizes., Permatech can deliver quality and performance.